Seafloor geodesy is a research area in full development. In the marine environment, we can quantify the vertical and horizontal movements of the active tectonic and volcanic zones. This technique is similar to what is done on land via GNSS networks, especially with the GNSS / acoustic combination method. 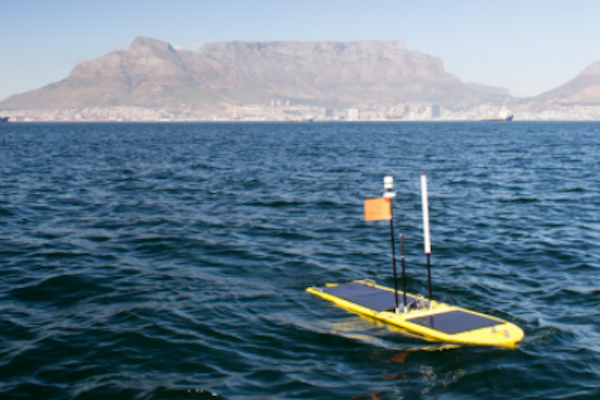 Scientists are using more and more robotic floating devices to carry out these measurements. I had the chance to work on a Wave Glider, a fully equipped autonomous floating machine that collected GNSS measurements during the summer of 2017. It also collected acoustic measurements thanks to a transmitter located on this same floating part of the apparatus. 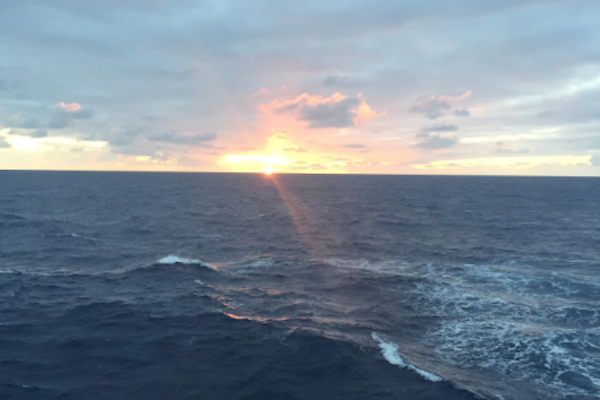 One of the objectives of the project was to be able to accurately determine the position of the beacon at the bottom of the ocean. Then, thanks to the acoustic measurements and the speed of the sound in the water (GPS / Acoustics method), we were able to georeference the location of the transponder located at the level of the sea floor to study the horizontal and vertical displacements of the funds in the event of earthquakes or other displacements of submarine volcanoes.